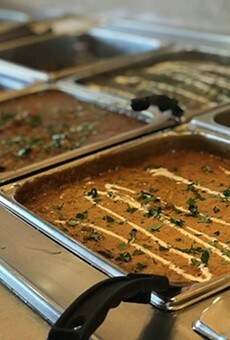 A repeat winner, and with good reason, Saffron Indian Bistro is a wonderful spot to share the wonders of Indian cuisine. Start with several types of samosas and then from the tandor, order the sublime ajwain fish. The rogan josh rocks with its perfect balance of flavors and textures. Want it simple? Opt for the naan, which comes plain, or with house chicken tikka, or with lamb, or paneer, or stuffed with spiced potatoes. For the novice, there is a daily lunch buffet with at least 15 options from which to choose. Seriously, after reading what was just written, dinner at the Oro Valley spot is in order.